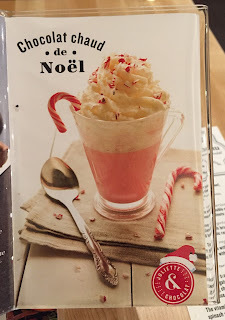 When we went to Montreal in January, Juliette et Chocolat still served some Christmas items. 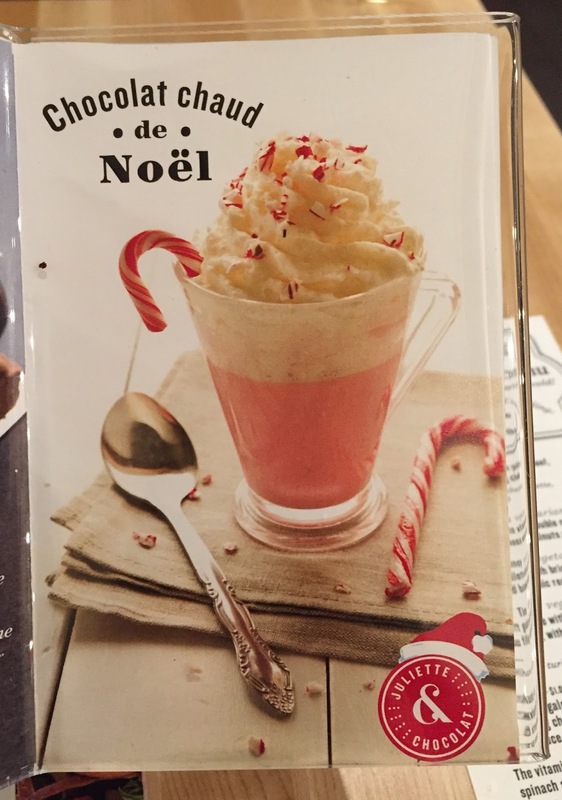 Chocolat Chaud De Noël was shown in a acrylic case on the table, not in the regular menu. 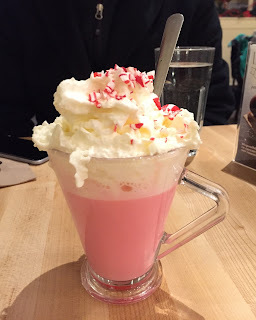 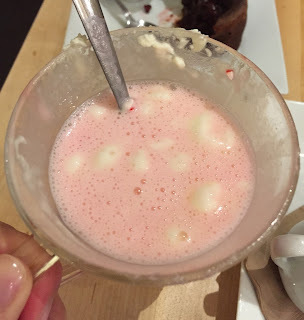 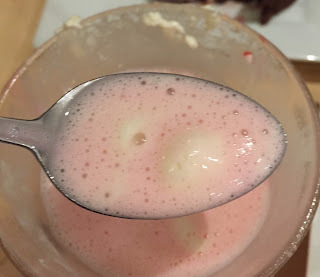 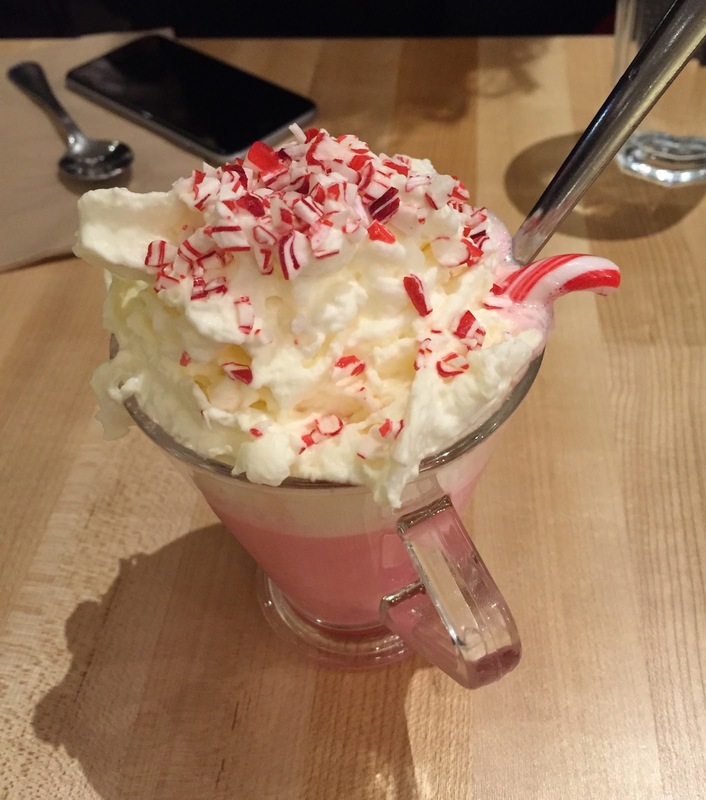 The pink colored hot chocolate was topped with crushed candy cane and a whole candy cane, too. I mixed the whipped cream into the hot chocolate, and the color became pastel pink. After a while, it went back to the original vivid pink. It's quite sweet because of white chocolate, but mint flavored candy canes helped it taste a bit refreshing.